Peripheral artery disease is a condition that results from a buildup of plaque in the arteries, usually affecting the legs but also capable of affecting blood flow to other organs, the brain, and one’s arms. The buildup of plaque in the arteries causes them to narrow, reducing the amount of blood pumping through these areas and back to the heart, thereby reducing the amount of oxygen that these areas receive. This can cause multiple complications, some of which are very serious and may reduce an individual’s ability to carry out basic occupational responsibilities. If you are unable to work due to peripheral artery disease, it might be possible to obtain Social Security Disability benefits from the federal government. 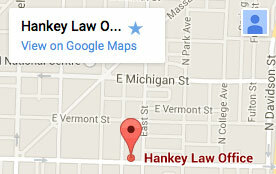 The Indianapolis Social Security Disability attorneys of the Hankey Law Office have the skills and experience necessary to help ensure that your claim is filed properly. To speak with an attorney about your situation, contact us at (800) 520-3633. One of the most common risk factors for peripheral artery disease is smoking. Although the condition is serious, it is treatable. However, many individuals are unable to work indefinitely due to the complications associated with peripheral artery disease and therefore may be in need of SSDI benefits. Applying for Social Security Disability benefits can be a complicated process and many people make mistakes that lead their claim to be rejected. If you or a loved one is applying for benefits, an Indianapolis Social Security Disability lawyer of the Hankey Law Office can help you to file a complete and correct application. Contact us by calling (800) 520-3633 today.